Osage, Iowa – A drenched harvest season has come to its close according to a USDA report. Ninety-six percent of the state’s corn has been harvest, four days behind the five year average. Producers have harvested 98 percent of their soybeans, twelve days behind average. In October, we sat down with the Barker operation, just north and east of Osage and discussed the challenges of getting started with the wet pattern. 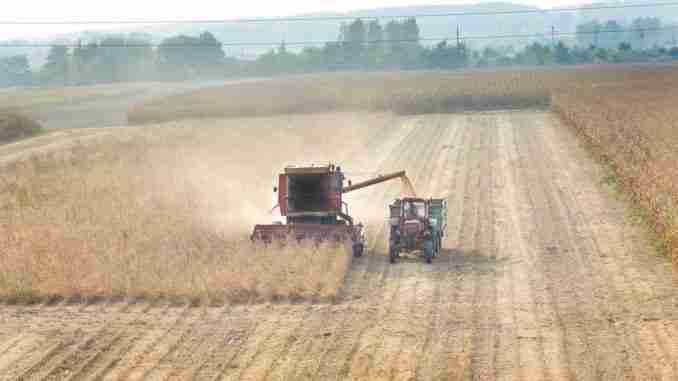 Now with harvest almost complete, Garrett Barker says once harvest started, it went quickly. A certified seed salesmen for Channel Seed, Barker tells us an earlier planting date help boost overall crop yields 40 to 50 bushels per acre. Producers who planted later could face a major issue before the spring planting season. While parts of the state may have had their bumper crop, Barker says a lot of producers have experience fluctuating yields. Some areas may have seen record bushels per acre while other fields would’ve produces lower-than-average yields.